::: Off the Radar :::: Do You Love Me? Check Yes or No. Do You Love Me? Check Yes or No. For the second year in a row, one of my favorite bands, Mobius Band, is releasing a free EP of cover songs filled to the brim with the theme of the month "l-o-v-e". It's for some holiday this month. Presidents (President's, Presidents'?) Day, I think. 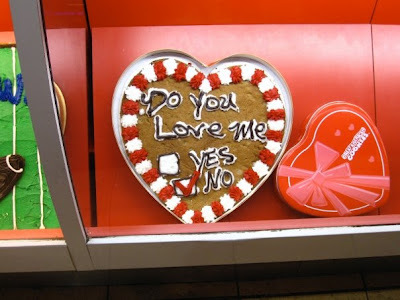 Cake Wrecks is a funny blog. Check out their Valentine's post, What's Love Got To Do With It?